The origins of the Robin Hood legend goes back to mediaeval times, and is shrouded in the veils of time. Robin may or may not have been a historical person, and he may or may not have been a rebellious fighter for the justice of the poor. 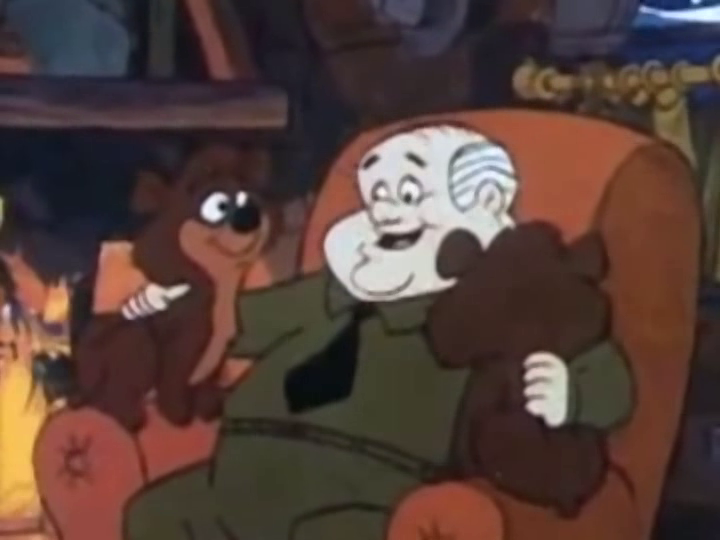 Side characters such as Little John and Will Scarlet may or may not have been part of the original story, whereas Friar Tuck, Alan-A-Dale and Lady Marian are probably later additions. By 1922, Douglas Fairbanks was making great leaps in the advancement of filmmaking. Two years before, he had made The Mark of Zorro, the first true romantic adventure movie, and in 1921 he followed it up spectacularly with The Three Musketeers. This year it was time for the making of the next classic movie adventure, Robin Hood. 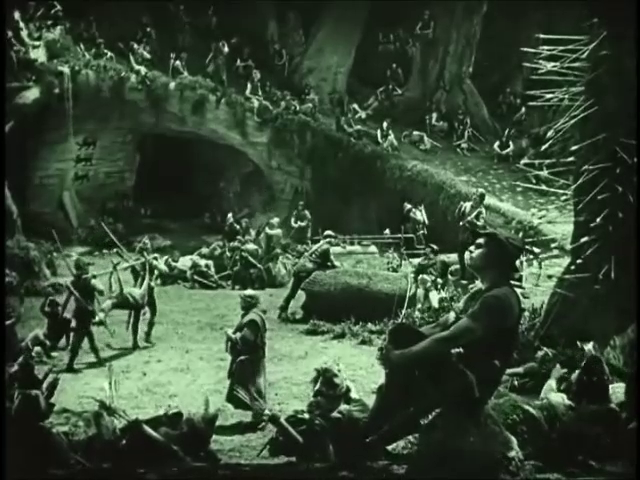 While Fairbanks’ Robin Hood was not the first screen version of the character, it was the first feature-length film, and it seems to have been an important step in bringing together many of the characteristics of the modern Robin Hood. Many accounts associate Robin Hood with Robert of Locksley, a historical character, though it is by no means proven that he has any real connection with the Robin Hood of legend. The early accounts are in agreement, however, that Robin Hood was a yeoman, a free man below the nobility in status. Fairbanks, however, makes Robin into one of King Richard’s most trusted advisers, before voluntarily becoming an outlaw in order to better be able to rebel against Prince John. In this version, Robin Hood is the Earl of Huntingdon, an identity that was ultimately derived from a 17th century play. One of the most influential Robin Hood tales in popular culture is Sir Walter Scott’s novel Ivanhoe. Fairbanks shows that he is influenced by Scott’s work, not only by the Lionheart connection, but even more clearly by having King Richard appear as an anonymous knight after his return to England. Robin Hood remains an excellent picture, over 90 years after its premiere. The sets are splendid and majestic. In fact, the mediaeval halls and castles were never so spectacular in real life as they are in Hollywood. Fairbanks weaves legend and fairy tale, and he does so with an elegance that few later Robin Hood accounts can match. This film is best enjoyed for Fairbanks’ athletic version of Robin Hood. There are a good many nice stunts, especially towards the end of the movie. 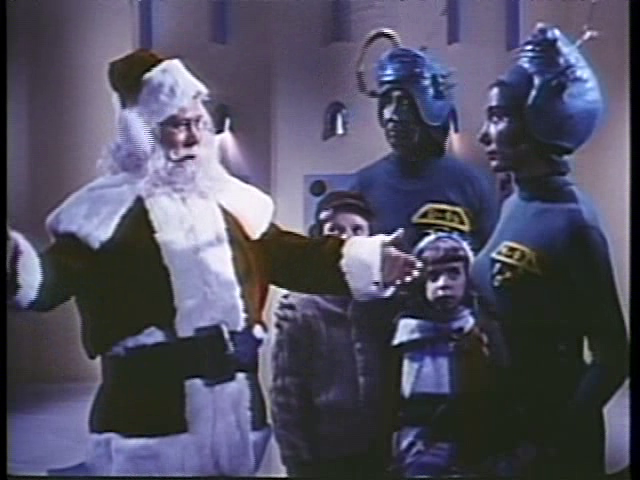 In a recent poll about the worst ever Christmas movie, the Swedish film site Filmtipset nominated Santa Claus Conquers the Martians as one of the candidates. It is not the first time the film has been mentioned as one of the worst Christmas movies ever, or indeed one of the worst movies ever, period. Among many other accolades, the film currently holds 87th place on IMDb’s Bottom 100 list. 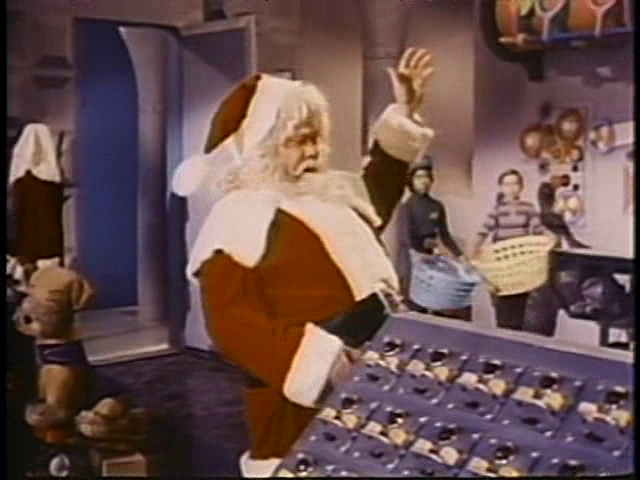 And, well, yeah, Santa Claus Conquers the Martians is a bad film and a true turkey. But is it really that bad? 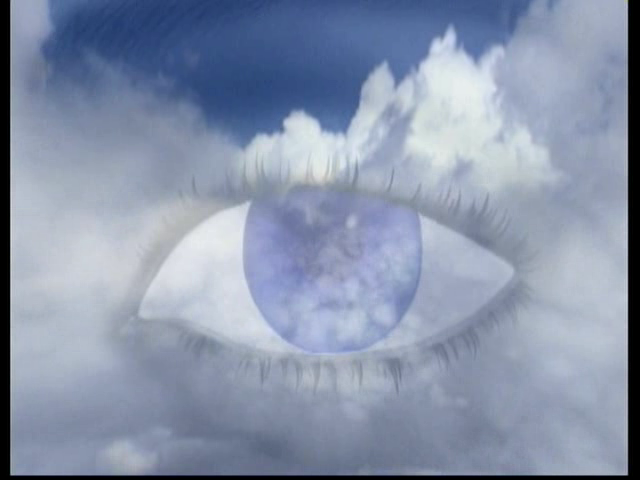 Read on and find out! The story is, it must be admitted, pretty inane. Martian kids are far too serious and just watch a lot of Earth television. After consulting a wise man, some Martians decide to kidnap Santa Claus from Earth, and they happen to bring a couple of Earth kids along as well. Santa agrees to help build a workshop for making Martian Christmas presents, but some of the Martians think that this is a bad idea, and want to close down Santa’s business. So, if the story is that bad, and the special effects and sets are on par, then how come lots of people enjoy the film? The truth of the matter is that Santa Claus Conquers the Martians is an enjoyable film to watch not mainly because of its faults. After all, many films have been made that are infinitely worse than this one, and in most cases watching them is just painful. 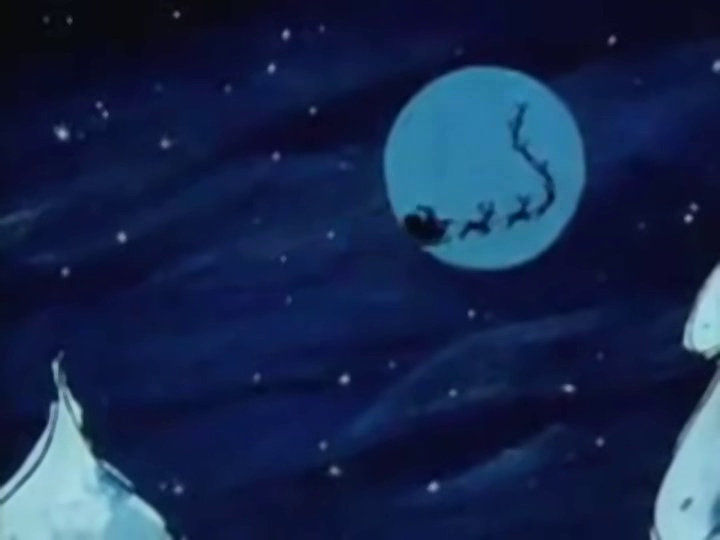 But Santa Claus Conquers the Martians, in spite of its many faults, also rests on a solid foundation of good. The pacing is adequate, and the actors do the best job possible with the material they have to work with (even though John Call as Santa Claus is a terrible case of bad casting). It is this foundation which makes it possible to enjoy the spectacularly bad qualities of the film rather than choke on them. This film is best enjoyed with good company. Some nice chatting and commenting will not spoil this one. Quite to the contrary. 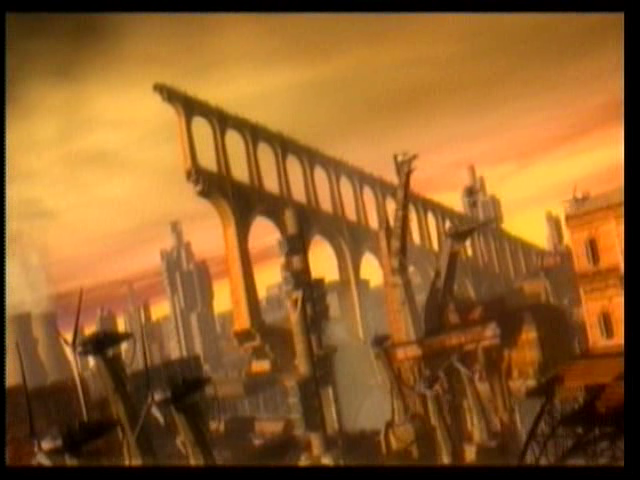 There is a certain amount of confusion about which was the world’s first feature-length science fiction film. Partly, perhaps, because it is not always very clear where to draw the border between what is and what is not science fiction. The earliest one mentioned in that article, and one which is often mentioned in other soruces, is the 1916 adaptation of Jules Verne’s 20,000 Leagues Under the Sea. A splendid novel, which was one of my childhood favourites. 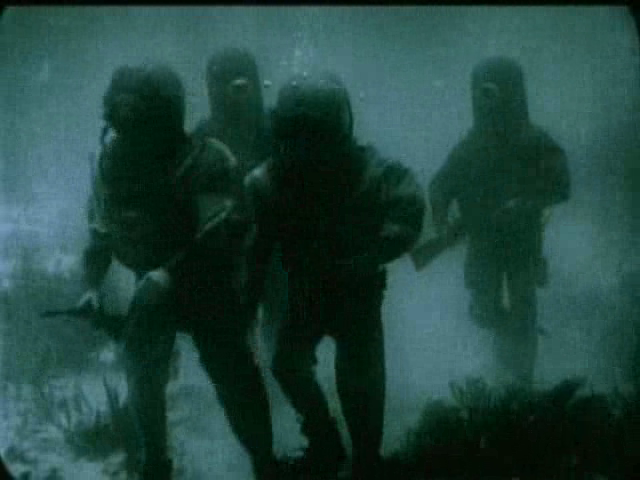 The film is unique not only because it was early science fiction, but also because it was the first feature film that used underwater photography, showing “actors” in spectacular diving suits. The divers move slowly and clumsily, but the coolness factor is enormous. It was also one of the first ever submarine films. This film is best enjoyed for its historical significance. Due to its age, it has a number of faults, such as the blackened face of Captain Nemo. Still, it is a good effort for its time, and for sci-fi fans in general and Jules Verne fans in particular, it is a cinematic milestone.